Alex Rodriguez celebrated Mother’s Day, 2010 by hitting a solo home run off Boston’s Jon Lester in the 4th inning at Fenway Park. This pink Louisville Slugger C271L model bat, used during the May 9th, 2010 game, shows light game use and is un-cracked. 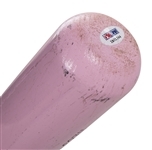 There are ball marks, an impression of a weighted batting sleeve on the barrel. 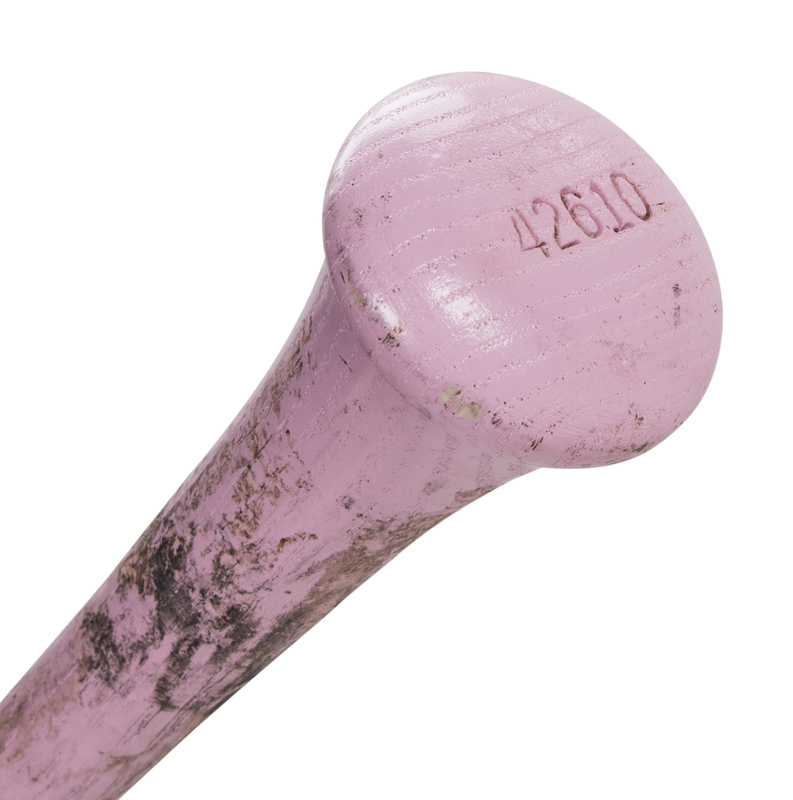 There is a moderate coating of Mota Stick on the handle and the knob has the bat's manufacture date "42610" stamped. 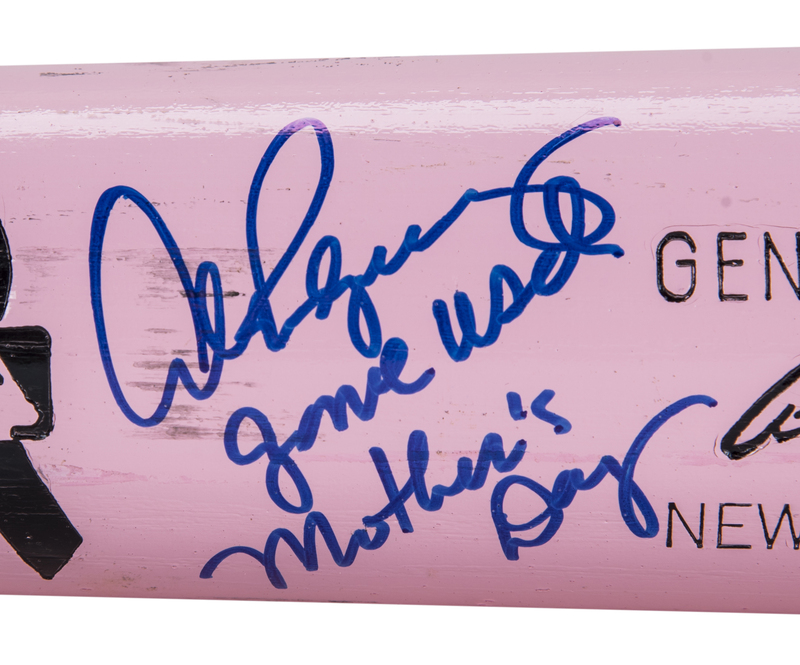 A-Rod has signed the barrel of this bat in blue marker and inscribed "game used Mother's Day". 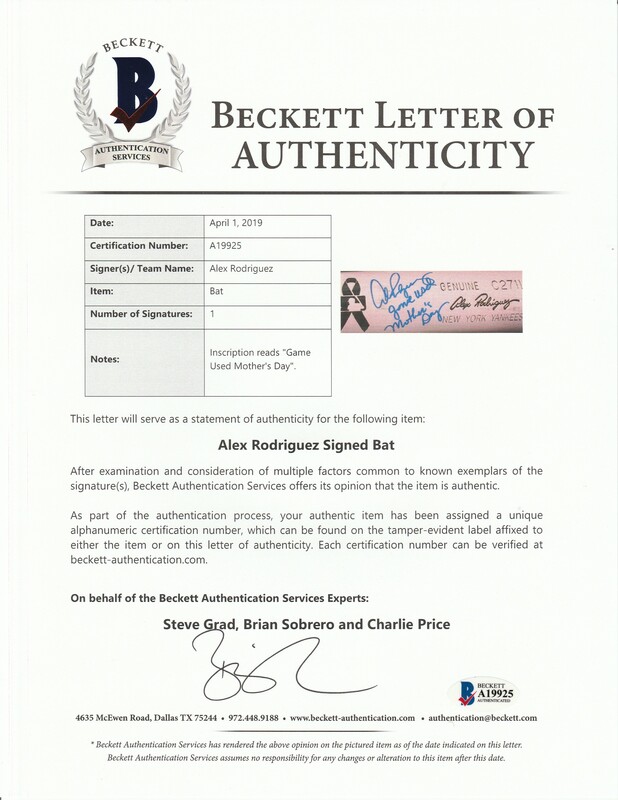 The bat comes with a LOA from PSA/DNA (1B01244) for the game use and has been graded a GU 7.5, plus an MLB Authenticated hologram (LH783816) for the game use and a LOA from Steve Grad of Beckett Authentication for the signature.